Scarefest 2016 News Roundup – TowersStreet - Your premier Alton Towers guide! As the first weekend of Scarefest draws to a close, join us here at TowersStreet as we round up what the event has on offer for the 2016 season. 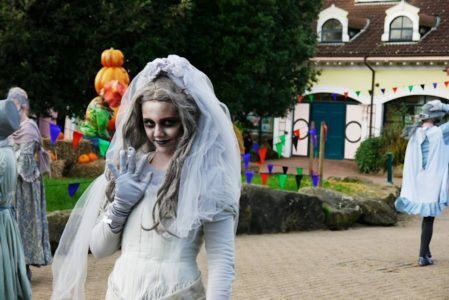 After heading through the turnstiles onto Towers Street, guests are welcomed with an abundance of pumpkins, bunting, scarecrows and a brand new Scarefest soundtrack, while the Alton Ancestors are back to greet guests in the area and break into their regular flash mob performances during the morning. 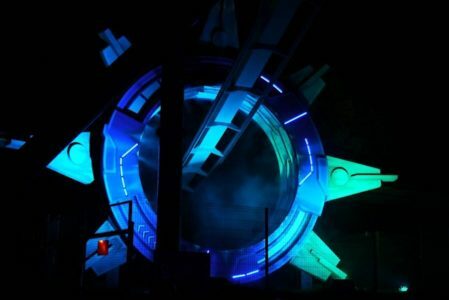 Meanwhile, across the park, audio can be found helping to spread the Scarefest atmosphere away from Towers Street and park wide lighting has also been improved this year. Many of the portable generators now benefit from coloured bulbs and gels, with Nemesis bathed in red, an orange scheme for Oblivion, and a green hue for Rita and the Dark Forest. For 2016 there’s the new House of Monsters, a family friendly scare maze located in the former Wobble World building of Cloud Cuckoo Land. 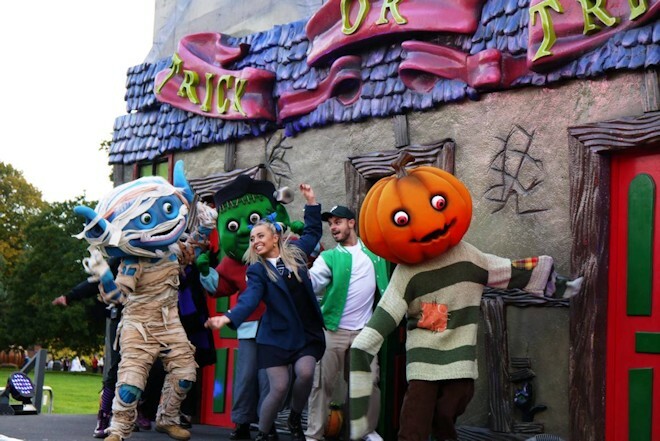 There’s also the return of the Trick or Treat Stage with Scarefest favourites Franklyn, Skelvin, Patch and Phil taking to the bottom of Towers Street with three different shows throughout the day; Phil and Franklyn’s Ghoul School, Patch’s Trick-or-Treat Party, and Skelvin’s Spooky Storytime. Like dressing up in your favourite spooky costume? There’s a fancy dress competition at the bottom of Towers Street each day! CBeebies Land is open until 7pm for smaller guests and their families, while you can find the Alton Ancestors in Gloomy Wood home between 2pm – 5pm for Gloomy Wood Alive. The line-up of mazes and scare zones changes yet again for this season. 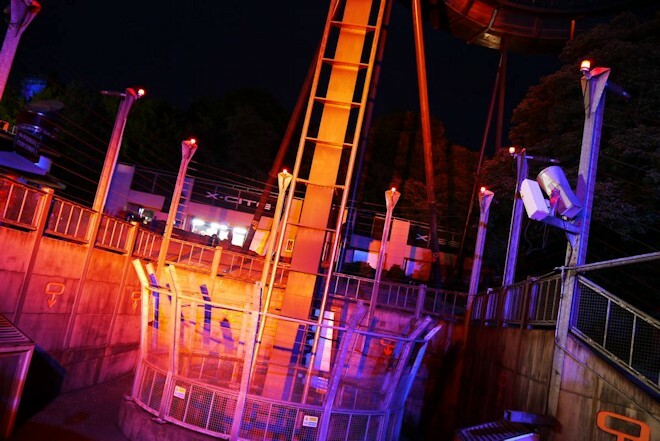 With three high-thrill scare mazes, a family friendly maze and one new scare zone, the offering has something for everyone. The new for 2016 family friendly scare maze House of Monsters is situated in Cloud Cuckoo Land and tasks guests with investigating to see if monsters are indeed real. Throughout the twenty minute interactive experience guests have to work together to solve the curse of the house before they are stuck inside forever. 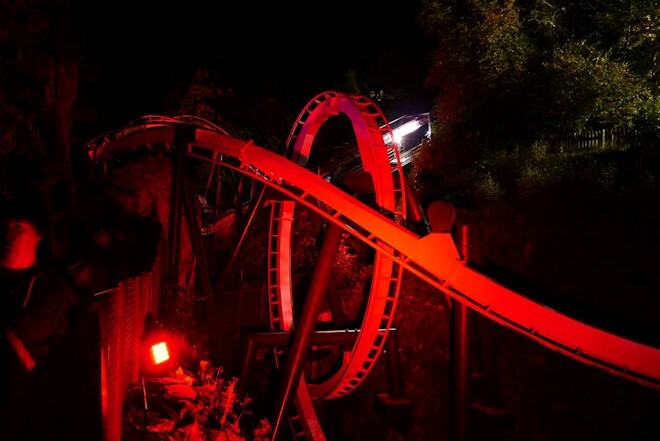 With plenty of laughs, spooks and a few mild scares, there’s something for everyone in this new attraction. Suitable for guests aged 8+. 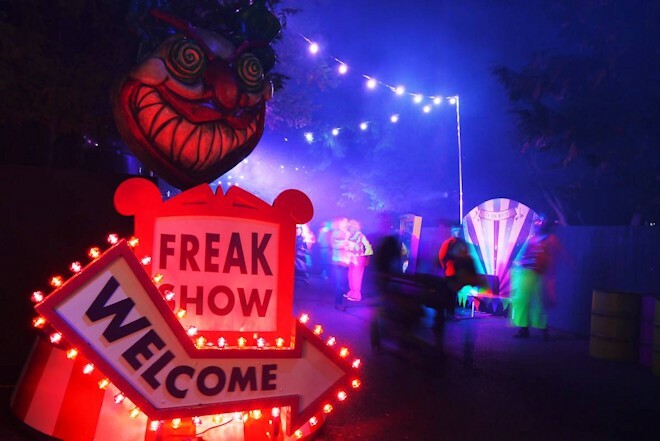 Debuting for 2016 is the Freak Show Scare Zone, located on the path between Adventure Land and X-Sector. Featuring the Ring Master, the Bearded Lady and the Strong Man, guests brave a path of twisted freaks in order to reach their destination. Across the park, the Dark Apocalypse Scare Zone returns to Forbidden Valley, unleashing contaminated zombies between Nemesis: Sub-Terra and Nemesis. For 2016 the Scarefest event runs on selected dates only, with the park open 10am – 9pm: 8th/9th, 15th/16th, 21st – 31st October. 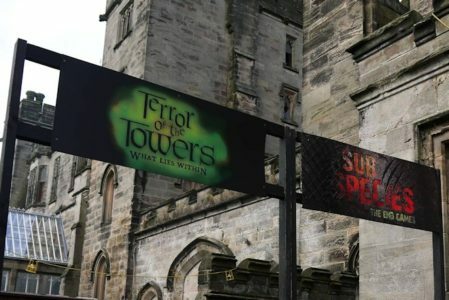 Stay with us here at TowersStreet as we continue to keep you up to date on all things Scarefest and Alton Towers Resort. Follow our Facebook and Twitter pages for news as we get it, and take a browse through the TowersStreet Talk forums for discussions on this year’s event and all the latest developments across the resort.